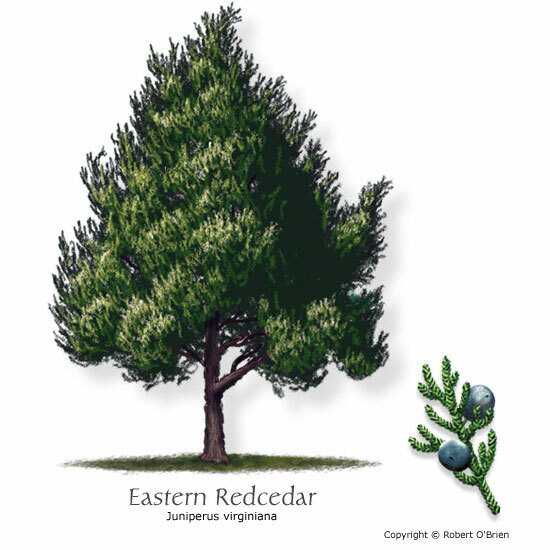 Features: Birds eat the blue berries; bark is fibrous and shredding. Comments: Often used as a windbreak. 'Canaerttii' is a cultivar used as a specimen tree. Problems: Can be invasive; males produce lots of pollen.